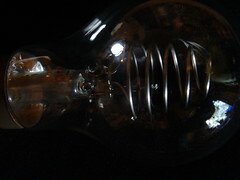 After the lightbulb find I was very pleased to find these valves. 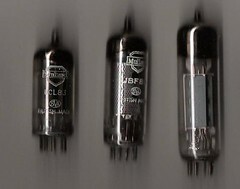 They may have been radio valves? A HUGE multi needle sewing machine that I have am lucky to be able to try this Wednesday. 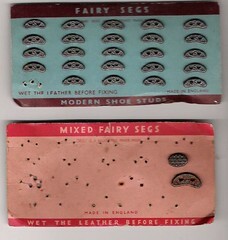 It has just over 80 needles that stitch at the same time..
A card of fairy Segs and another one of mixed Fairy Segs (although only two remaining). Found on Brick Lane market in the early 1980's. 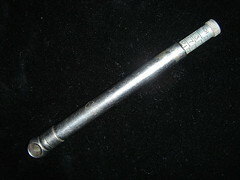 I have recently sent my entire collection of Blakeys (apart the jam jar full of old found ones) to Hasting Art Gallery. I collected these years ago and they have been in a wooden cabinet packed away since we moved here. 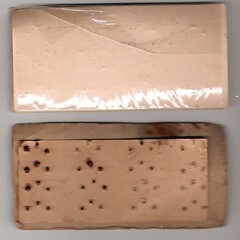 Here are two packets of Tom Thumb segs..one fresh and unopened and the other well used. 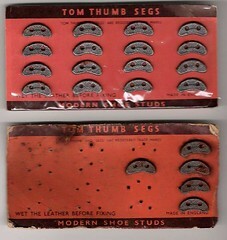 Segs and blakeys were once more popular and were put on the bottom of shoes to pro-long the life of the sole. 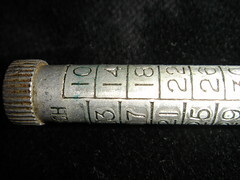 The end that pops out indicating the Pounds per square inch. A very clever use of numbering which allows the numbers to be big even though the increments are small. 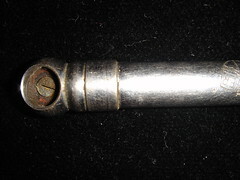 The end you puch onto the air valve. 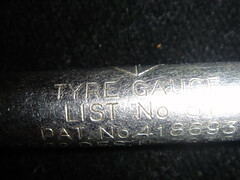 The tyre Gauge is marked. 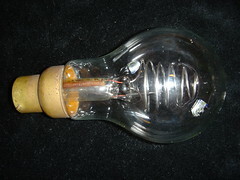 I found this bulb on the Kwik Save boot sale. The Lady just said it was very old and still worked, but it looks to scary to try. It looks like it might get very hot. 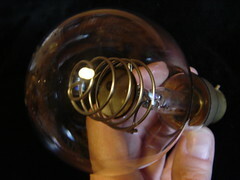 View of the whole bulb. 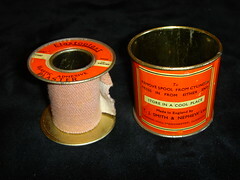 Inspired by Sylvies Chesterton thread seal tape ,I found this similar tin at Lady Heyes.It contained a Britsh Yard of Un-stretched plaster...which it says could stretch up to 2 yards when stretched. 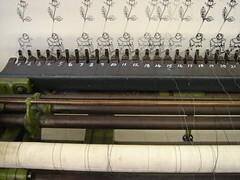 To REMOVE SPOOL FROM CYLINDER PRESS IN FROM EITHER END. 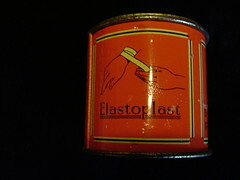 There is still a little very stretchy and sticky plaster left.